Just two miles from downtown Huntsville, tucked inside a residential area, you’ll find an interesting remnant of local history. 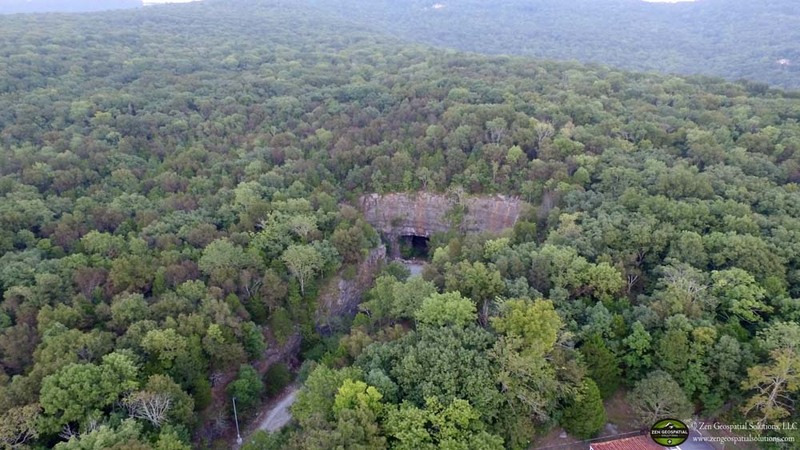 Three Caves sits among the trees on Land Trust of North Alabama’s Monte Sano Nature Preserve. 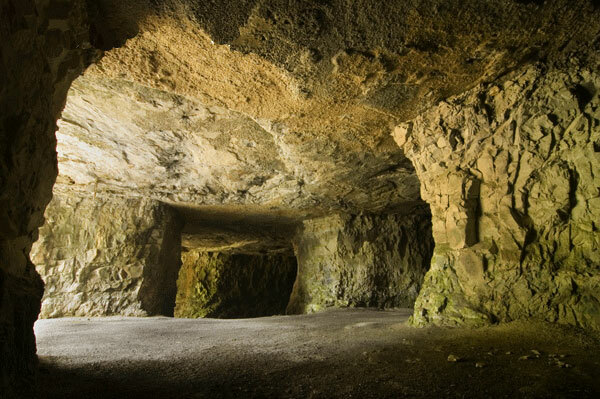 Despite its name, it’s actually not a cave at all but a former limestone mine, originally known as Hermitage Quarry. Beginning in spring 1945, Madison County leased the site to the Madison Limestone Company. For the next seven years, limestone harvested from the ground paved many of Huntsville’s streets and parking lots as the surrounding area quickly grew. To more easily access the higher quality limestone located further underground, a method of mining called “room and pillar” was used. This created the three cave-like openings that give the site its current name. There is also a maze of connecting caverns that extend approximately 6 acres underground. In 1952, the quarry operation was closed due to skyrocketing costs and growth of the City of Huntsville that encroached closer and closer to the mine. The quarry site remained unused for the next several years with a couple of exceptions. During the Cuban Missile Crisis, officials designated it as a fallout shelter. It has served as a film site for movies and even a music video. (“The Ravagers” in 1978, “What Waits Below” in 1984, and Kansas’ “Reason to Be” in the early eighties). The Land Trust received the property in 1989 as a donation. It was an 80 acre addition to Monte Sano Nature Preserve. 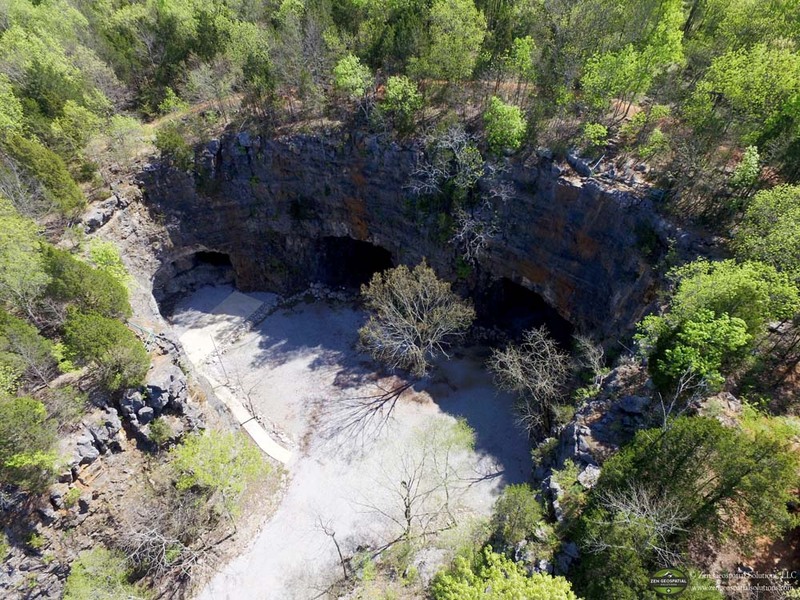 The Land Trust opened Three Caves for public access and offered cave tours as the man-made caverns slowly developed some natural geological formations such as flowstone, cave pearls, stalactites, and stalagmites. However, rock fall issues were discovered in 2006 and a structural inspection indicated that significant portions of the ceiling were unstable and could create a dangerous hazard for visitors. 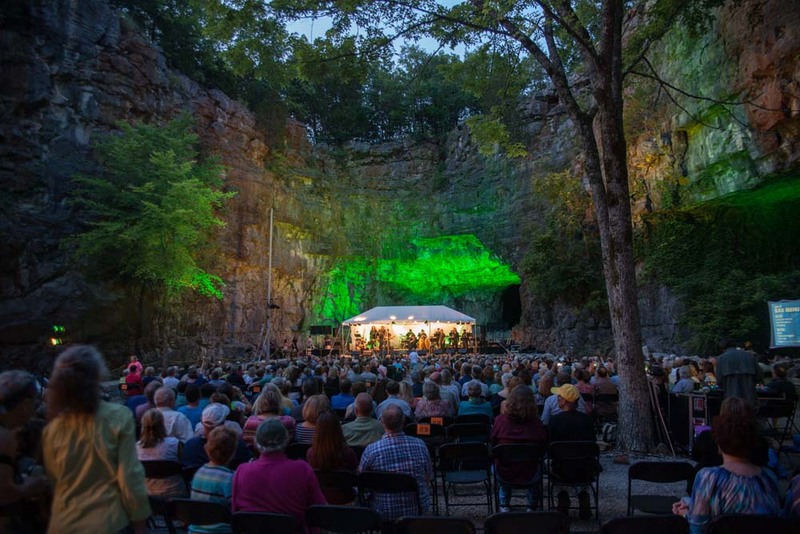 As a result, Three Caves closed for visitors but continues to offer a unique venue for Land Trust special events. 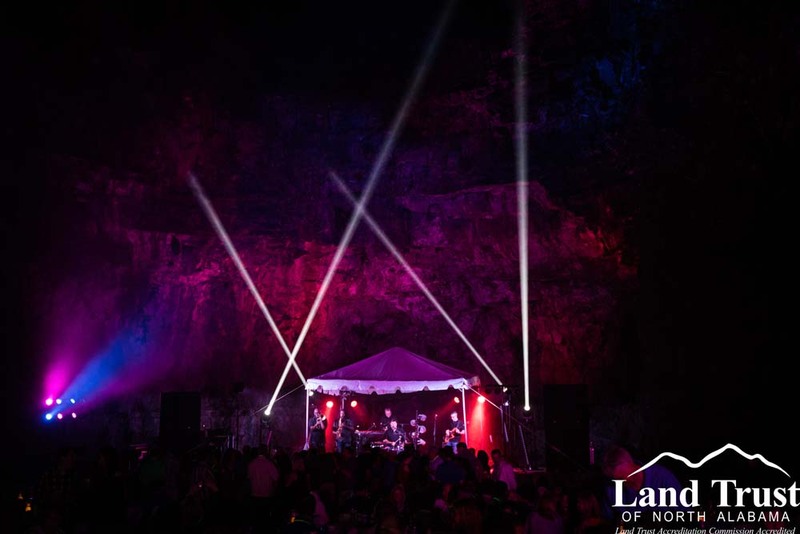 Inside the “bowl” – the open area outside the three large mine openings, Land Trust of North Alabama hosts concerts in the summer with illuminated limestone walls as a stage backdrop and a popular annual party called “Moon Over Three Caves Dance” each September. Proceeds from these events support the Land Trust’s efforts to preserve land and natural resources in North Alabama. 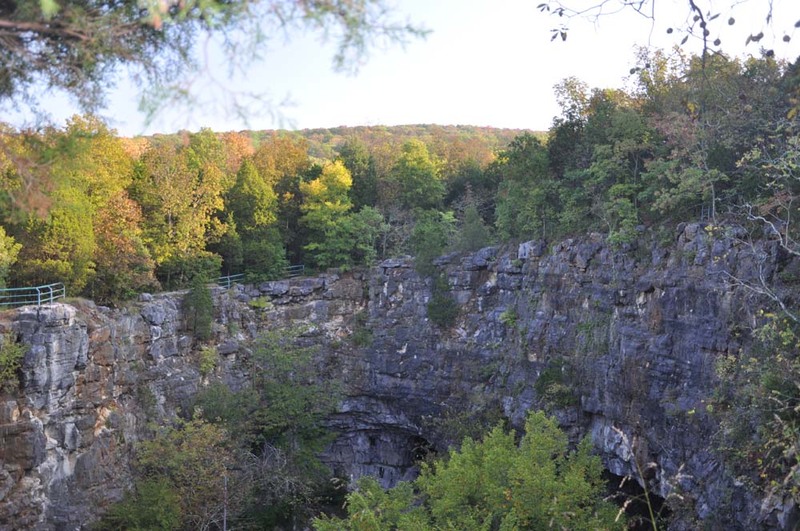 Hikers can take in a view of Three Caves from above on Three Caves Loop. This trail circles the perimeter of the bowl and because of its convenient location in the heart of Huntsville serves as a very popular starting point to access the over 22 mile network of trails that crisscross Monte Sano Nature Preserve. Within a short two mile hike from the Three Caves Trailhead, you can discover everything from waterfalls to natural springs to sinkholes along with a variety of plants and wildlife. It’s an easy escape to nature just minutes from downtown. Find a trail map to plan your hiking adventure or check for upcoming Three Caves events at landtrustnal.org. 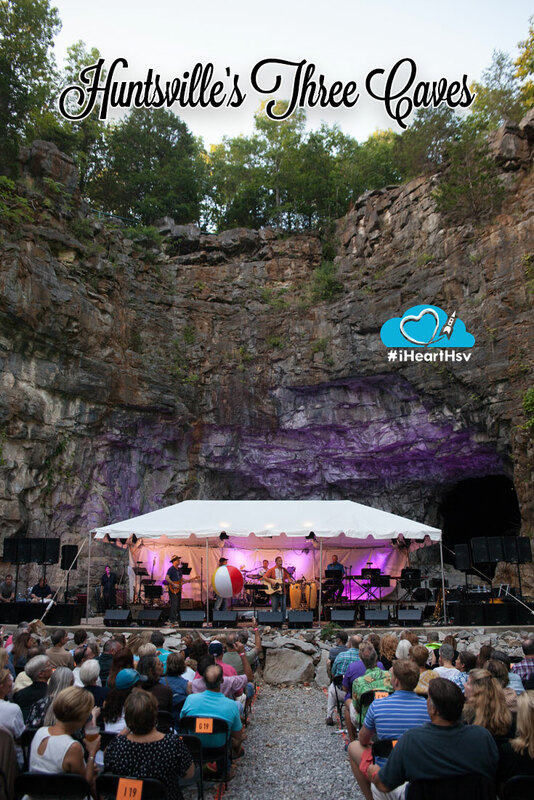 Tickets are available now Concert at Three Caves on August 18 featuring Edwin McCain.